Pioneer’s flagship CDJ player, the CDJ-2000 Nexus, offering exciting features and technologies including Wi-Fi® connectivity, a first in the industry, compatibility with Pioneer’s new rekordbox™ App for iPhone, iPad or iPod touch, Android tablets and smartphones and new functions such as Beat Sync, Wave Zoom and Slip. Newly enhanced features inherited by the CDJ-2000 Nexus include a selection screen interface for a more intuitive music search experience, increased visibility of the needle search pad, and improved master tempo sound quality. With the included rekordbox music management software installed on a computer, users can organize and catalog their entire music libraries. Newly added features available when rekordbox is used with the CDJ-2000 Nexus include music file analysis functions such as Wave Form Zoom (wave form expansion) and Key, as well as additional settings such as Active Loop and Hot Cue Auto Load. The CDJ-2000 Nexus features a large full-color WQVGA 6.1-inch (480 x 234) LCD panel for displaying song titles and album art as well as detailed track information. The Wave data of each song is also illustrated on screen and the new Wave Zoom function provides five different levels of magnification of the wave data which are color-coded according to bandwidth. 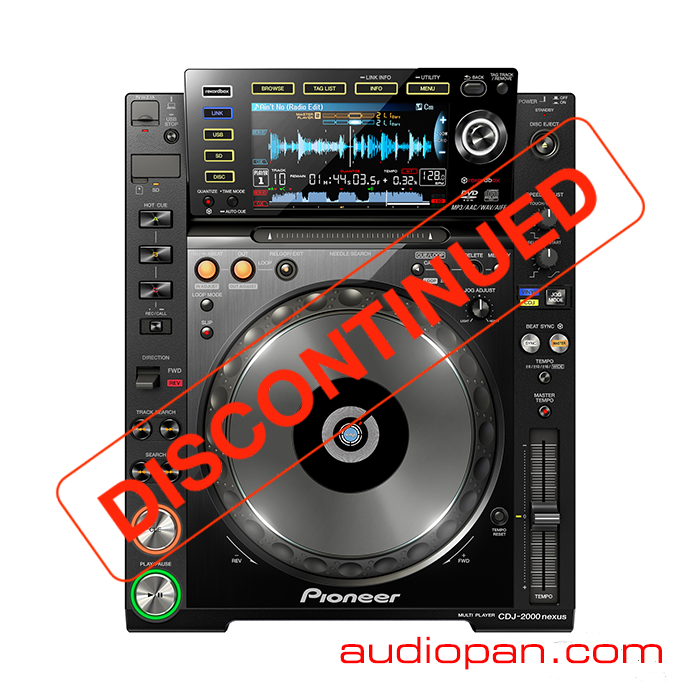 Pioneer added Slip Mode and Quantize functions to the CDJ-2000 Nexus for added performance and reliability. My Settings – The function settings of a player can be saved to an iPhone, iPad or iPod touch, USB storage device, SD memory card, or other device. For additional convenience, the settings can also be can be made ahead of time on the rekordbox App or software allowing users switch to their settings when a connection is made to the CDJ-2000 Nexus.